In today’s blog we are going to consider why our thoughts have an effect for the good or detriment of our health and well being. As somebody who has an interest in creating a healthier life and mindset, you will know that within the field of Somatics, we know that our mind and what we think, do and say will have a direct effect on our body. We also know whatever happens in or to our body, it has a huge effect on our mental and emotional health. Our thoughts must be chosen with great care and consideration because we have an amazing mind which can build us up or tear us down with what we choose to think about. Remember as powerful as they are, thoughts are just stories we tell ourselves. They are usually out of context and can fester and become distorted as a result. I like to use the analogy of a GPS. If we want to go in a particular direction with certainty, we set the GPS to take us that way. We know that if we follow the direction given with a laser beam focus and momentum, we will arrive at our destination happy and satisfied. It is the same with our thoughts. If we “recalibrate” our thoughts on a daily basis, we are setting our so called internal GPS to keep our focus and momentum in a positive direction or journey. Consider the analogy of the GPS again. If we have no idea how to get to our destination and we do not use a GPS, we will wander or drive around aimlessly. We become unmonitored and erratic in our journey. The same applies with our thoughts. If we are unmonitored, haphazard and erratic in our thoughts, we will live life in an emotional and physical rollercoaster. We will have negative thoughts and beliefs about ourself. We are easily offended, upset and reactive to people and presume wrong motives, just to name a few. When we become mindful of our thoughts, we know that they will always need to be tuned because we constantly endure new challenges in life which will try and take us back to our old patterns of behaviour and thought. Think about your car journey again. You have your GPS directing your journey. But as you travel through different regions and states, you notice that the reception on your radio is fading. Do you complain that it shouldn’t be this way? You reason that you tuned it earlier in the journey and now it’s not working, but it should. Or do you acknowledge that on your journey, your radio has to be tuned periodically because the environment and situation has changed? You will also notice that some radio stations play upbuilding content and music, whereas others can be negative and fault finding about politics and other controversial subjects. Each radio station represents a different thought whilst travelling through different terrains or life events/circumstances. So do you change the radio station to keep your thoughts, emotions and feelings balanced? Your childhood may influence many of your emotional responses you experience in adulthood. But you can change the way these situations affect you in adulthood. You don’t have to be a prisoner to your thoughts as an adult. You have a fully matured brain and you have the power to consciously choose your thoughts. Our thoughts are powerful because when we say something out loud or to ourself, we have a belief system which goes with it. This belief system can be empowering or debilitating. THOUGHT: I need a holiday. (TRIGGER: The inner victim that takes everything on but never has time To relax and care for their own well being). The way you phase a statement will influence and either switch or reaffirm a belief system, positive or negative. Below are the same three intentions but phrased differently. This time the expression has a positive, less dictatorial or dogmatic way of thinking or speaking to oneself. THOUGHT: I love my body and will ensure that I live a somatic lifestyle. I will eat and drink foods to fuel and nourish my body which are healthy and tasty. (TRIGGERS: a determined, focused mindset). THOUGHT: This person is really nice and taking an interest in me. I am enjoying hearing new information which will enrich my life. This person is helping to make me a better listener. (TRIGGERS: a spirit of gratitude, appreciation and patience). When we understand neuroscience, we know this quote is true. Let me explain why. Our brain cannot decipher between real and imagined thoughts. Studies led by Ramachandran at the Center for Brain and Cognition at the University of California, San Diego in 2007, showed amazing results to prove this. The brain imaging showed the same parts of the brain lighting up whether the person was actually performing that activity, watching someone do it or imagining it in detail. These results highlight the fact that if we have a powerful thought, an argument, watch a movie or TV show, read a book or listen to the radio, our brain cannot tell whether we are living it for real or not. There has been so much research in this field and it continues to develop in the area of neuropsychology. 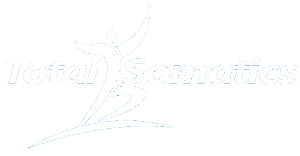 Basically as we are interested in living a Somatically balanced and healthy life, we use information such as my blogs and online program at www.TotalSomatics.com to educate and empower us in our own health and well being. Once we acknowledge that our thoughts are strong influencers in our reality, we will regularly “recalibrate” our thoughts. We know that whatever we tell our self on a regular basis, we start to believe. As a result, whatever we believe, we act upon. Whatever action we take, creates a momentum in our life to a certain direction. Like the GPS and radio analogy, how we choose to tune the radio station and whether we listen to the laser beam focus of the GPS, will influence the path or journey we take in life. This is why I created The Total Somatics Approach to Health & Wellness Online program. It covers the area of mindset with Somatics. Unless you switch your mindset, you will continue to live emotionally, mentally and physically in a figurative hamster’s wheel. I will guide you through videos, audios, podcasts, downloadable support material and much more so you can start living a life with which you have control over your health and well being. When you feel educated and empowered in the field of pain management and stress relief, you are able to take on the challenges and exciting opportunities life has to offer. You are able to do this with greater emotional resilience, less pain, improved posture and an increase in mobility. 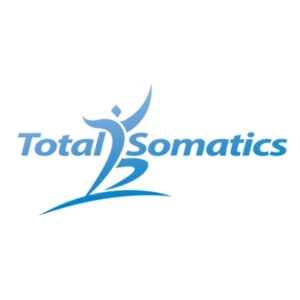 Join me and the thousands around the world who have found The Total Somatics Approach to Health & Wellness (www.TotalSomatics.com) to be instrumental to helping them improve a better quality of life and return to the activities they love to do.